One of my favourite hangout places these days is my Elementum Money Twitter timeline. I follow a set of fantastic Personal Finance bloggers and are they an inspirational lot or what! If you are not following me on Twitter yet, now might be the best time for us to connect Twitterifically (yeah, I did really say that). The handle remains the same, folks – @elementummoney. 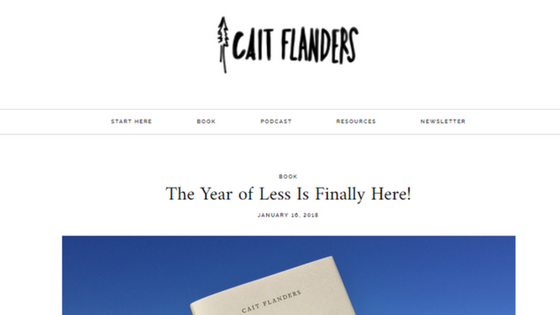 While hanging there, off late one of the books everyone seems excited about lately is – The Year of Less by Cait Flanders. The best part about the book? The descriptor of the title pretty much sums up what you might expect from it – How I stopped shopping, gave away my belongings and discovered life is worth more than anything you can buy in a store. 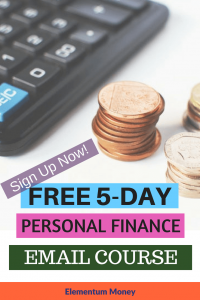 As I dug deeper, I realised that Cait is one of the highly regarded Personal Finance bloggers and I landed on her website. Started in 2011, Cait started the blog in the name of “Blonde on a budget” which gradually morphed into the namesake website of Cait Flanders. In the initial months when she was still trying to repay the $30,000 debt, she chose to blog about it anonymously and only after paying off most of it, did she really reveal her true identity. Reading through the blog is almost like knowing Cait personally. 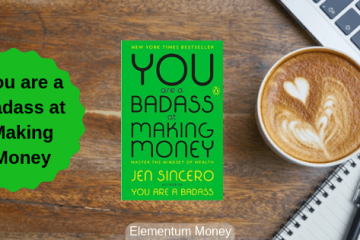 She really does bring the “personal” into personal blog and personal finance. One of the most consistently done section on the blog are the weekly spend updates as well as her Gym/PF goals and the progress on it. You can see the human aspects of what we all go through and experience with money. One of the experiments that Cait is best known for is her 2-year ban on shopping. Before you gawk and roll your eyes saying “that is impossible” (because that was my reaction too), the word shopping was defined and the experiment was given a set of rules which needed to be adhered to. Both the years are clearly mapped out and the blog readers get a ringside view of this experiment. As you might have guessed, her book is also inspired by this long period of financial restraint. Cait is also much into minimalism and in some ways just slowing the heck down. So, the year 2017 was decided to be labeled as the Year of Slow where almost every month she decided to slow down different aspects of her life – be it in travel, work, technology or even breathing. In short, this is a blog when you decide you want to take control of your life. 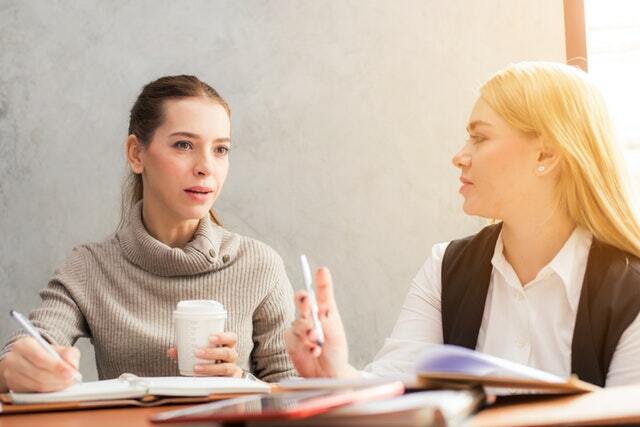 If you are looking for inspiration or to glean insights from someone else who has done it and talks about it in detail, this is the site for you. Like with any good site, I liked a lot of posts on the site. However, I have chosen the one which I could relate to the most – Friends and Finances. 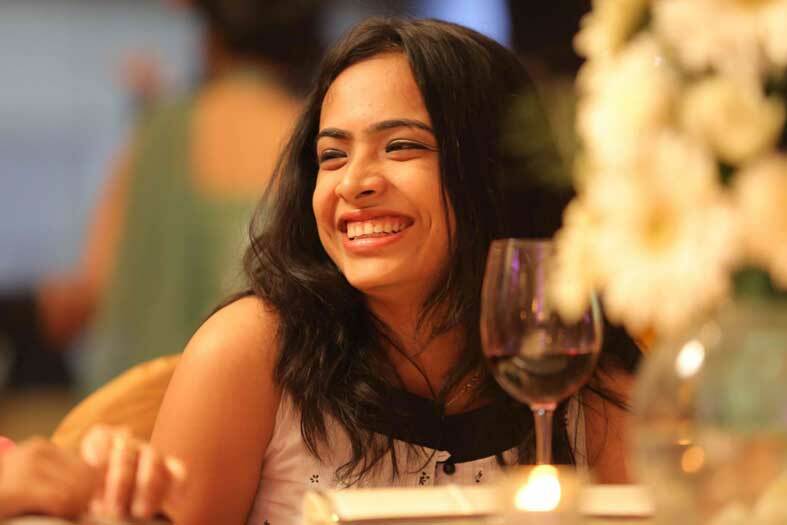 In this post, she talks about how friends can start viewing you differently on the basis of your financial situation in life. I agree with her wholeheartedly. Another aspect to it is how the reluctance to say no often leads us into a deeper financial hole. Keeping our own budget or goals in mind remains important, even while socialising. I still remember I went out with a very close childhood friend of mine for lunch. I am in debt right now and for all practical purposes a SINK (Single Income No Kids) household. The husband has started his marketing agency and all revenue is being plowed back into it. The friend on the other hand, is fortunately debt-free. I asked her to pick the place as sadly enough I no longer know the eating out scene in my own hometown of Delhi that well. When the bill came, my transparent expressions betrayed me and she chose to foot the bill without making me feel bad about it at all! Her reasoning? I had paid for our breakfast meeting the last time. And of course, the dessert was on me. I strongly believe, true friends will be with you on your journey, through whatever stage you might be on. Not every relationship will last you a lifetime. That is not a reason to grudge them as we are all on our own journeys and every relationship is good and worth cherishing while it lasts. In this regard, Cait describes it really beautifully when she compares friendship to a long road trip, with every individual being a car. Some of the other cars may take an exit sooner than you expected. You can miss their company but don’t stay mad at any car for leaving. They just need to continue on their own road trip to reach their final destination. And their purpose was to help you reach yours. Why you must make peace with your financial situation. You can reach out to Cait Flanders through her website, Twitter or Facebook .